Jurassic World: Evolution DLC unveiled: “Secrets of Dr. Wu”, releasing 20th November! 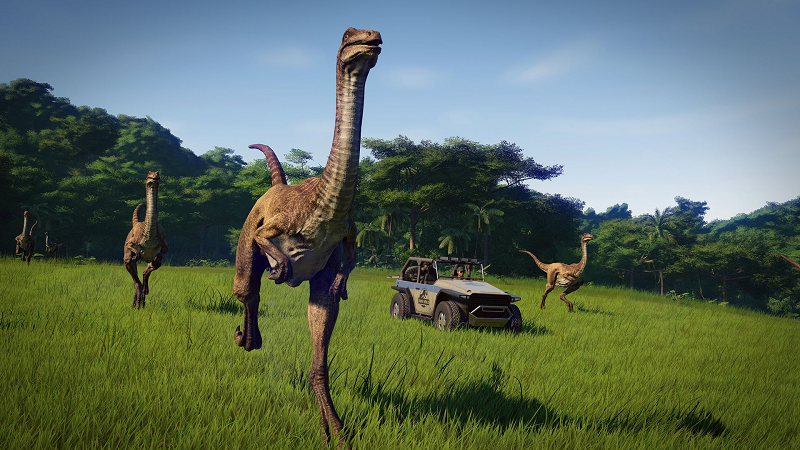 Following an tease earlier in the week while revealing what new features will be brought to the game with the 1.5 update, Frontier Developments has revealed the first piece of paid content since the release of Jurassic World: Evolution. This is Dr. Henry Wu speaking. I know you’ve been working hard across the islands to design and breed the most awe-inspiring and, sometimes, fear-inducing creatures. You’ve had success, I can tell, and I like your methods. So I’m here to ask for your assistance. I’ve got a very, very special project for you, should you choose to join me in my efforts. Think about it, but do know: the reward we will reap is… compelling, to say the least. “Secrets of Dr. Wu” will expand upon the base story of Jurassic World: Evolution, giving players insight into the shady dealings of the morally ambiguous geneticist. Not only will this see Jurassic series actor B.D. Wong reprise the role with all-new voice lines (as showcased by the trailer), but will include a plethora of new in-game content for players to sink their teeth into. Five new dinosaur species will be added to the ever-growing roster. First up are the giant hadrosaur Olorotitan and the nimble therapod Troodon, complete with a “poison bite attack” (Jurassic Park: The Game, anyone?). In addition to these, there are three brand-new hybrid dinosaurs: Stegoceratops (cut from 2015’s Jurassic World, fans will recognise this one from the Hasbro toy released alongside the film), and Ankylodocus plus Spinoraptor which were both introduced in the LUDIA Jurassic World games. Two of the five deaths will also see map expansions – new regions of Isla Muerta and Isla Tacaño will be opened up to the player to expand their hybrid testing areas. Aside from the new narrative and missions, there will be a slew of new genetic modifications available to further tinker with your dinosaurs, including comfort genes, allowing the player to up dinosaur tolerance to conditions beyond their expected limits. Most exciting of these is the Indominus Rex camouflage gene, finally bringing this iconic and long-requested ability to the Indominus’ in-game counterpart. Once bred with this gene activated, the Indominus Rex will be able to camouflage while hunting, idle, panicking or while in dense forests. You’ll want to keep an eye on her enclosure! In addition to all this, there will be some new building upgrades, such as the additional incubation speed increase, the speed increase for the transport team, plus an advanced storm defense station to provide better protection against rough weather conditions. Aside from the paid DLC, the free 1.5 update will be bringing many long-requested features into the base game. First among these are modifications to existing dinosaur behaviours. The dinosaur with the highest prestige within a group will be appointed as the group leader, which other dinosaurs of the same species will now follow while drinking, eating and fleeing, keeping groups of dinosaurs together. Leadership contests will see the title be awarded to the victor, keeping your dinosaur populations dynamic and ever-changing. This now also means dinosaurs can be herded by staff vehicles. Dinosaurs will also now sleep while comfortable and idle, not just while sick, and under the new group leader system, will nap as a group. A full day/night cycle will be added to all game modes, introducing more dynamic and variable lighting conditions to the islands. This will be instantly available from the gameplay setting menu in the Isla Nublar Sandbox and Challenge modes, and will be unlocked for the Career islands after achieving 5 stars on each island. The introduction of higher capacity feeders (in addition to regular feeders) will also remedy the frustration of constantly having to send out your ranger teams on resupply runs. And all-new contracts will see players sell dinosaurs with particular gene modifications and influence specific dinosaurs’ infamy ratings to skyrocket. “Secrets of Dr. Wu” will be available for all systems on the 20th of November 2018, releasing alongside the free 1.5 update. Costing £12.99/$14.99/€14.99, the DLC will be available to download on Steam, and the Playstation and Xbox Stores, depending which platform you play on (base game required). Frontier Developments will be holding a launch lifestream on the 20th November at 3PM UTC on www.twitch.tv/frontierdevelopments for those who may want to see some of the features in play before they buy. 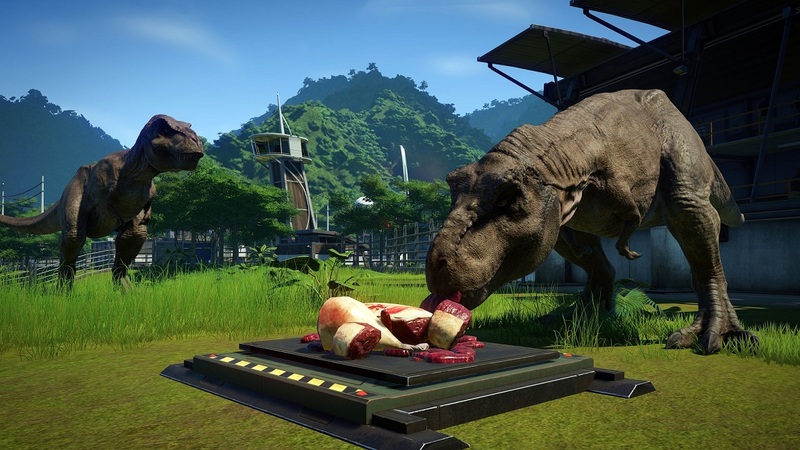 Between the free update and paid DLC, it seems that Frontier are addressing many player’s complaints and are committed to improving general quality of life for Jurassic World: Evolution. But what are your thoughts on the revealed upcoming content? What are you most excited for, and what would you like to see in future updates and DLC drops – say a classic Jurassic Park visual overhaul? Sound off in the comments below, and as always, stay tuned for the latest news!